We are increasingly spending our time in online activities that we don’t get paid for. Social media for example is a benevolent time consuming activity that has no direct financial paybacks, but plenty of indirect benefits (when used properly). It was Alvin Toffler (who I had the pleasure to know) that first described this trend in his last book, Revolutionary Wealth (2007), calling it the “non-money economy”. He also rightfully predicted it was going to explode. Here are some excerpts from his thinking that we can more easily relate to now, because these weren’t so obvious in 2007. Alvin Toffler didn’t predict the blockchain either, but that last statement was as close as he got to it, considering that he (and his wife Heidi) were formulating these thoughts during the 1996-2006 period (it takes them a decade to write a book). All this background ties to a theme I’ve been re-hashing: that we now have new opportunities to earn “currency” by doing some work online. Today, this currency is cryptocurrency and the difference with Toffler’s vision is that- what we earn can also be spent on transactions inside these new non-money economies. This means that you don’t need to go into the “money economy” to spend what you earned in the non-money economy. However, finding the various methods of spending cryptocurrency and linking the earning aspect to a viable business model as a basic utility is still hard to figure out. The earning part might be a little easier, as it is the first step. Earning takes the form of active or passive work. Active working could include delivering on bounties for specific projects such as finding bugs or developing software, both tasks that are from a technical perspective. Or, it could involve up-voting, promoting or commenting on social media. Passive working is typically accomplished by sharing something, such as your computer processing cycles, Internet access, or storage; or something that you produce, like your own data. In both cases, there is time involved, and there is value received. If Facebook was re-invented today, we should all be partially compensated for letting them monetize our attention. The average user spends 50 minutes per day on Facebook, and time is that critical measure of engagement. So, why do we have to give our time away for free? Granted that not all investments are of a financial nature, because we also invest our time in pleasure related activities. 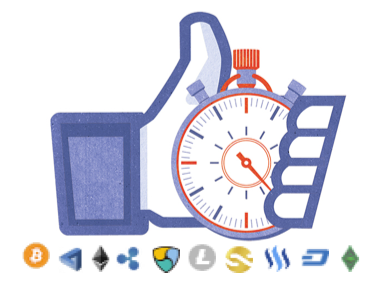 However, if the value received is paid for by a token currency, and if that token is worth more in the future, then the time invested translates into a lucrative return. Today, it would be the anomaly if we are paid via cryptocurrency (e.g. on Steemit), but in the future, that may be the norm. You could write an Amazon review (with a 5-star rating, preferably). You could go to my Steemit page and upvote or comment on my posts. These were just simple examples that don’t cost you money, but they cost you time. Maybe in the future, I could issue Mougayar-currency for these actions, and the tokens would appreciate in relationship with the value of my work or notoriety, or I could allocate a share of my earnings to be distributed to my followers. How do you participate in the cryptocurrency attention economy and what choices do you have to make? You can decide where and how you want to spend your time. Choices of who you want to share your data with, in return for tangible value or tokens. These are choices we will make. The free labor economy will be over, because cryptocurrency will re-fuel the attention economy with value. We might finally get paid for that “third job” we have had for a while.